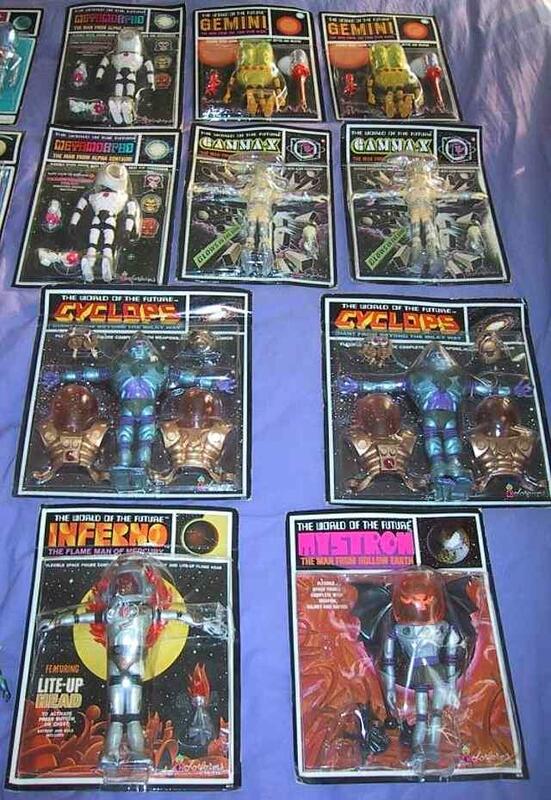 These are considered the holy grail of Colorforms Outer Space Men collectibles. Eight bendable sets of these are known to exist (about half on the card, the other half loose), though the sets are not all known to be complete, and they are not all together. 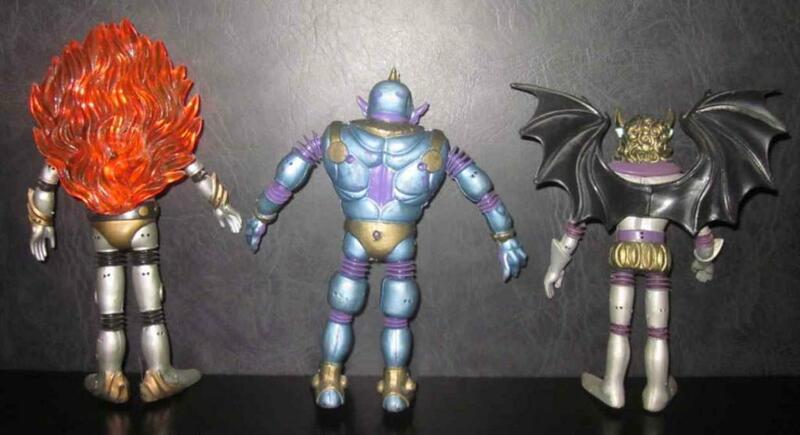 A Mystron and Metamorpho still seem to be unaccounted for, so my best guess is that at least 46 individual figures exist.. The set pictured below was used to photograph the puzzles and the Colorforms adventure set. 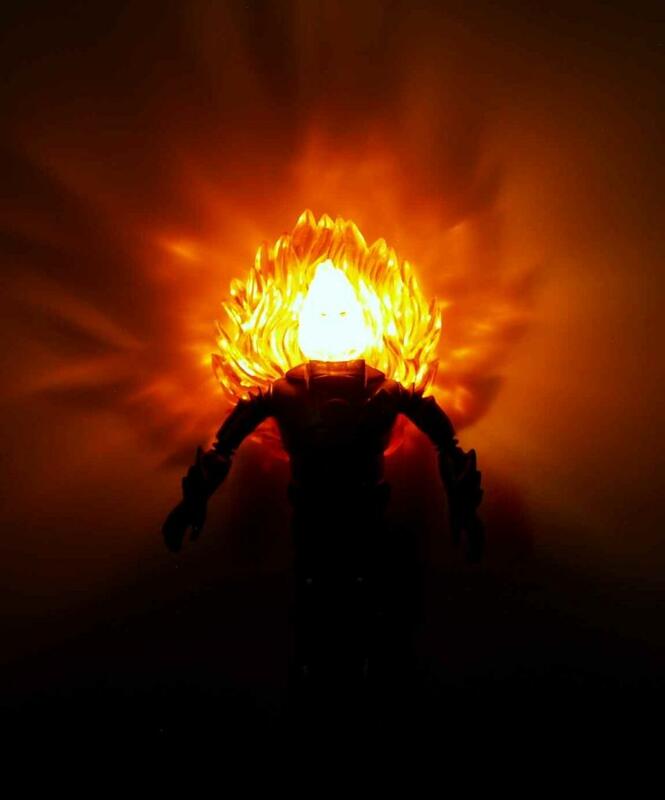 Note that Inferno still has the wire stuck though the back of his foot that Mel used to get him to stand up during shooting. 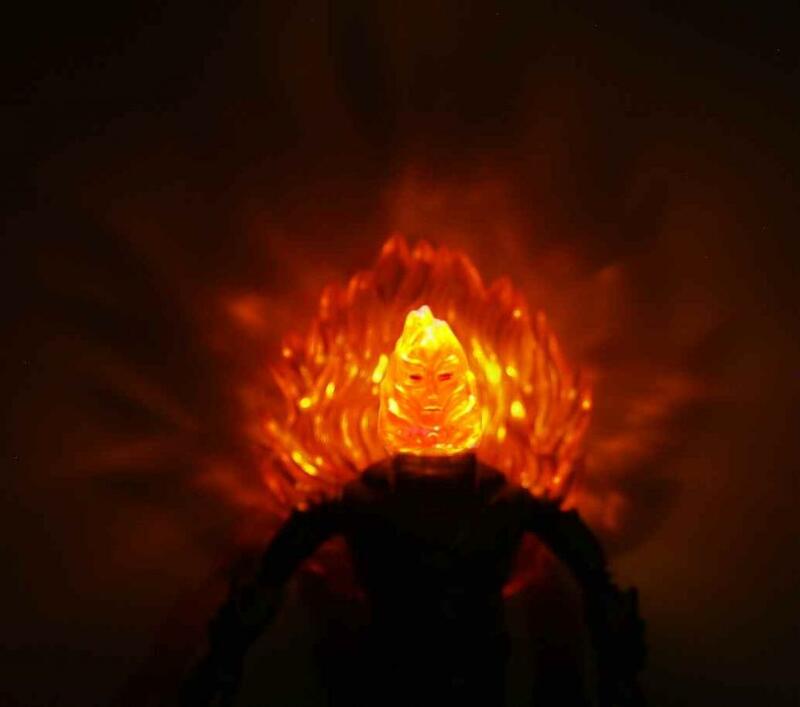 The paint that was applied to Inferno's head (which can be seen on the cover of the adventure set) has been removed, so as to restore it to it's original state. Below is Cyclops. 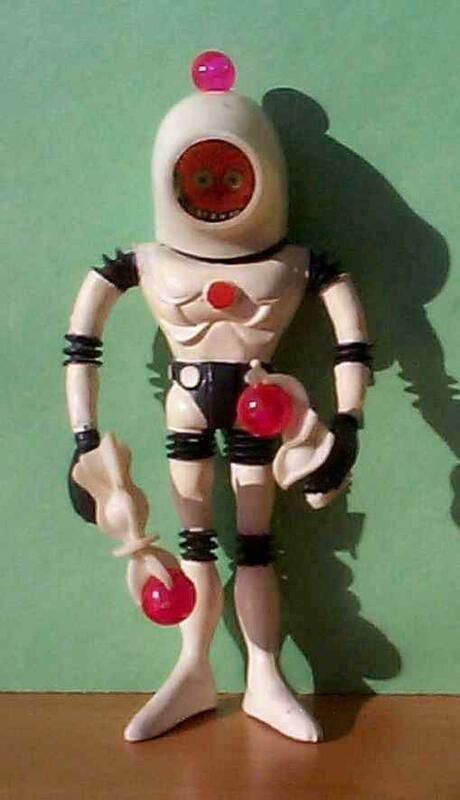 Undoubtedly the coolest of all Outer Space Men and IMO the coolest toy ever made! For me he is in a virtual tie for #1 with Colossus Rex, only because Rex has more sentimental value. 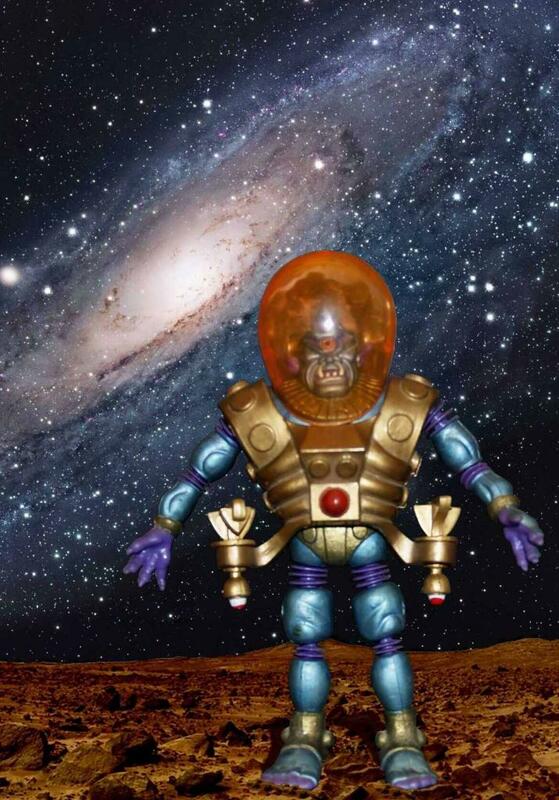 Cyclops, Giant from Beyond the Milky Way! Next we have Mystron. I have always been fascinated by his wings. 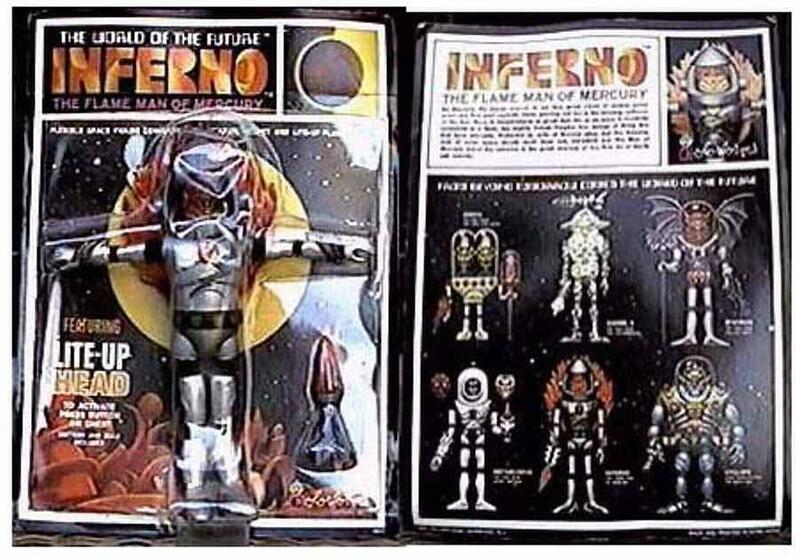 Before we found out the names of the 2nd series OSM, my brother called this next one Inferno, which wound up being his actual name. To add to the coolness, as I sit here posting these, a documentary I have on starts randomly talking about Dante's Inferno! Next we have Metamorpho. His head spins around with the general idea being that he can morph, but I've always thought the idea of an alien with 3 faces as even cooler! Next we have Gamma-X. 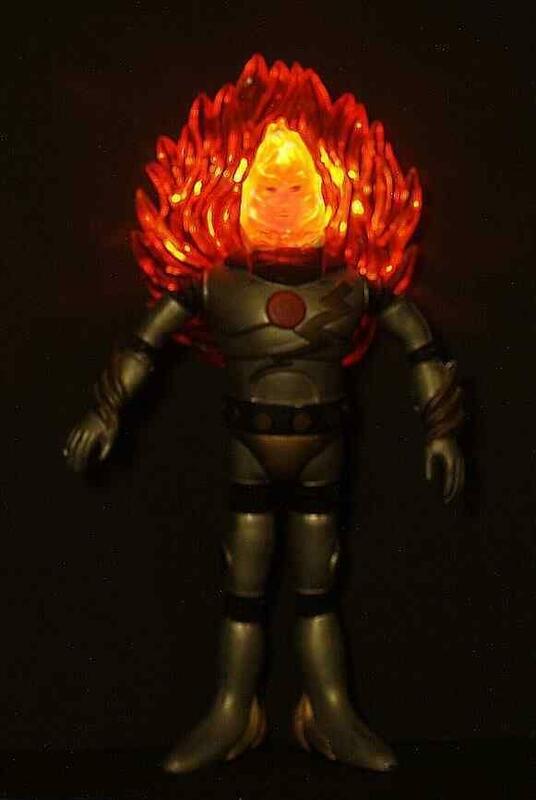 He was supposed to glow in the dark but no known versions of this alien actually glows. 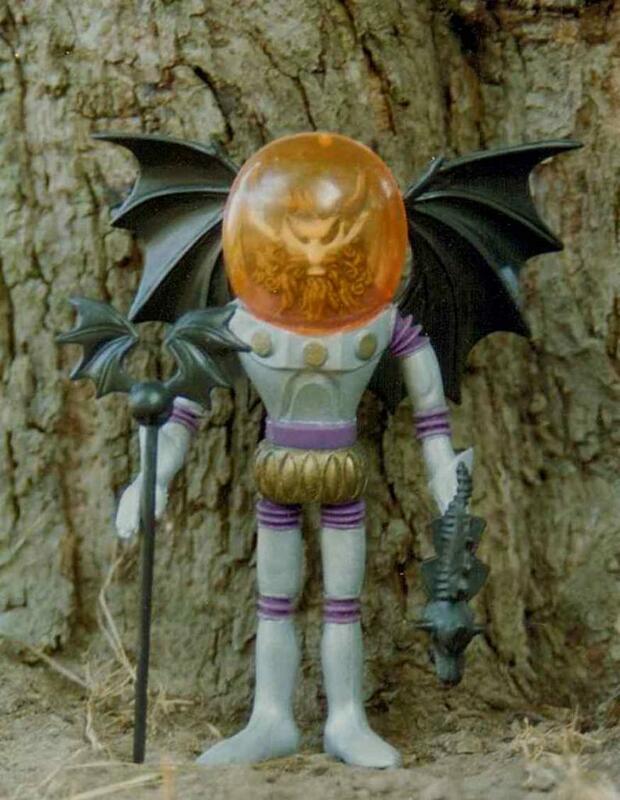 I suppose if they had actually been mass produced they would have used a different type of rubber or painted him with glow in the dark paint. 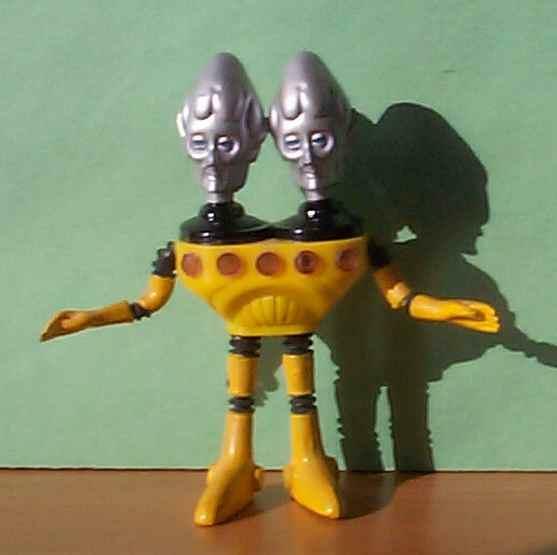 Last but not least we have Gemini, with and without his helmet. 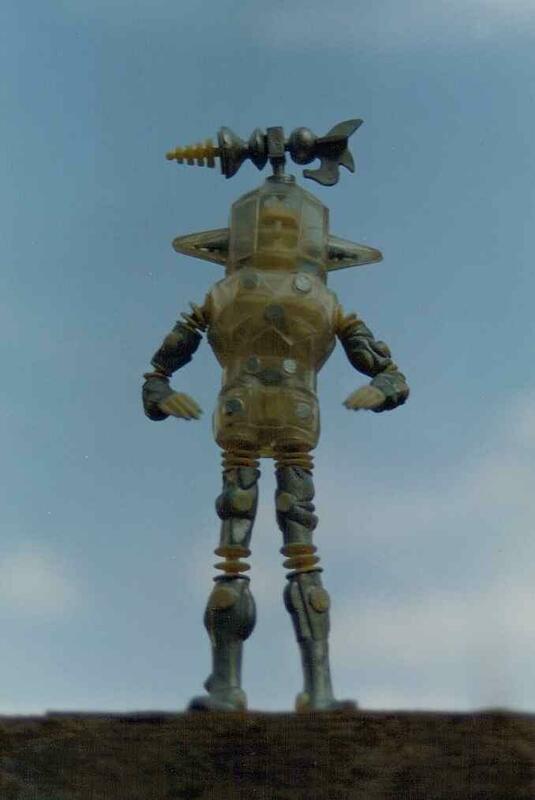 I've always dug the way his silver heads turn yellow with the helmet on. 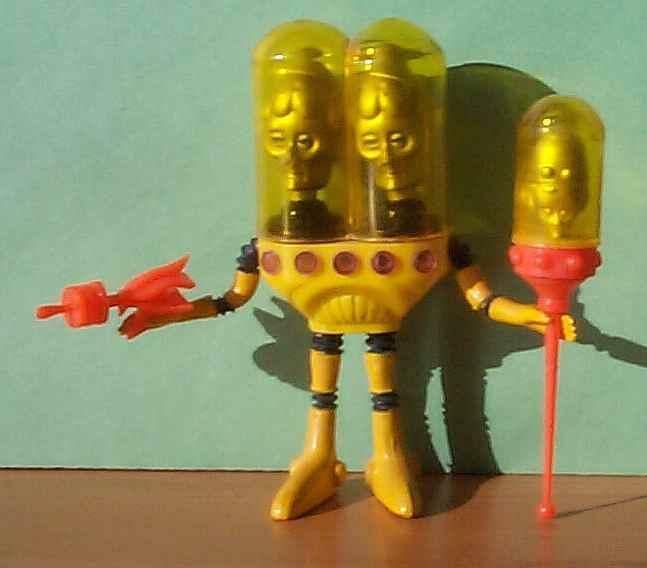 Here is a photo of the seldom seen backs of three of the coolest aliens. In 1999, 2nd series aliens started surfacing unexpectedly from unknown origins. 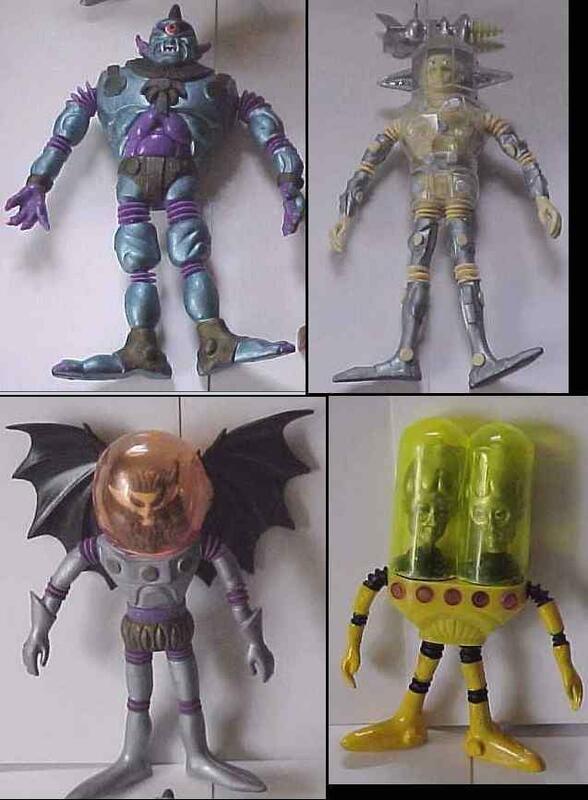 First, 4 loose aliens showed up on Ebay. When they were initially listed the reserve was not met. They eventually got absorbed into one of the largest collections in the world. Below are pictures from that auction. 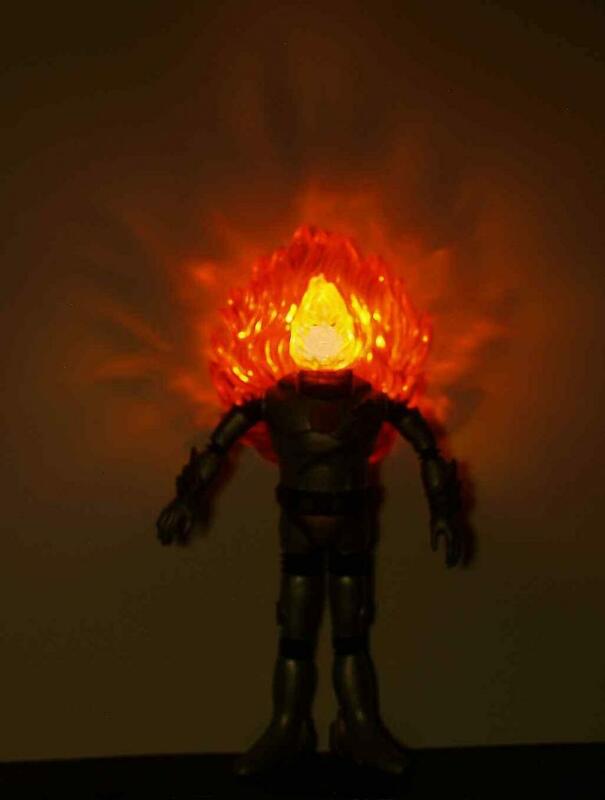 Then a few months later a carded Inferno surfaced on Ebay. At the time it was a risk to buy it because the seller had zero feedback, but some lucky buyer got it at a pretty good price. 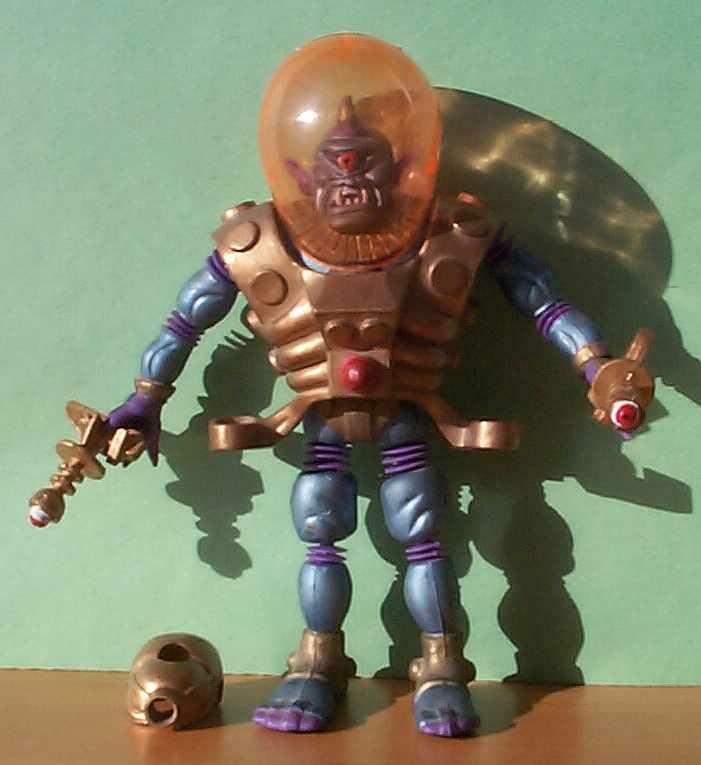 A few months later the seller surfaced with the only known Astro Jerk mint on the card (see mini aliens page for pics). 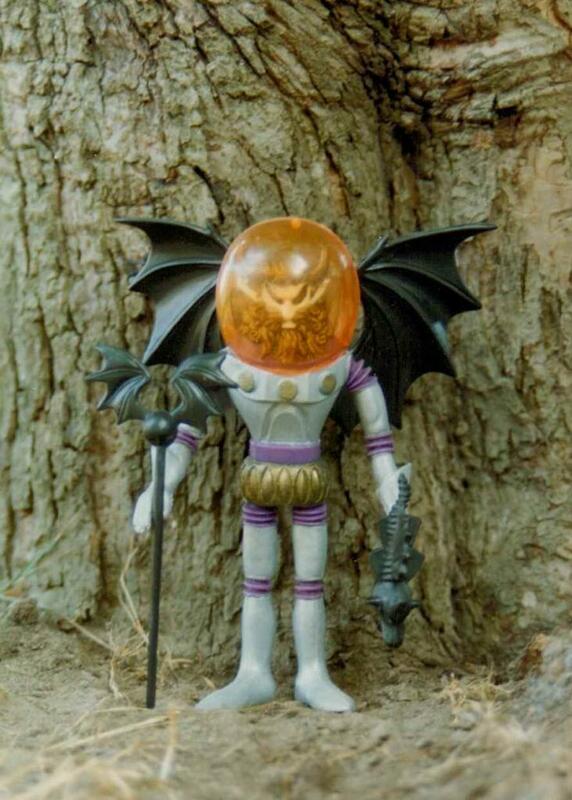 In 2005 one of the most exciting finds in toy history occurred. Some lucky collector found a man who had 10 carded second series aliens. 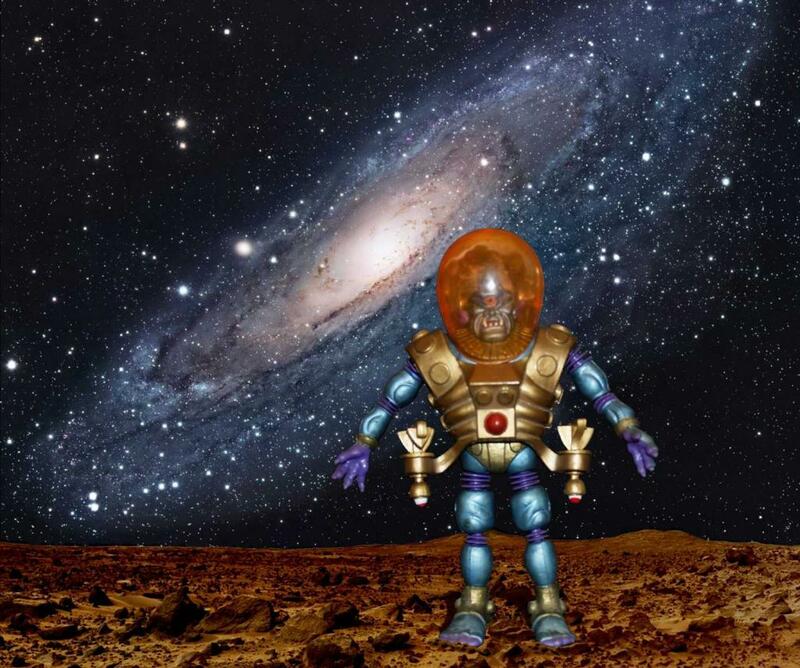 The origin of just where these aliens came from is not known.